Donald Cerrone said he’d love to fight Khabib Nurmagomedov (pictured) – prior to blasting Jim Miller on Wednesday, mind you – and Nurmagomedov gladly accepted the challenge immediately following Cerrone’s win. Sounds like a match made in heaven, right? Actually, it’s a match that WAS made for UFC 178. According to UFC president Dana White, 20 minutes after Nurmagomedov agreed to face Cerrone in the September 27 event, the undefeated lightweight blew out his knee at the gym. Obviously, the highly-anticipated scrap is now off. 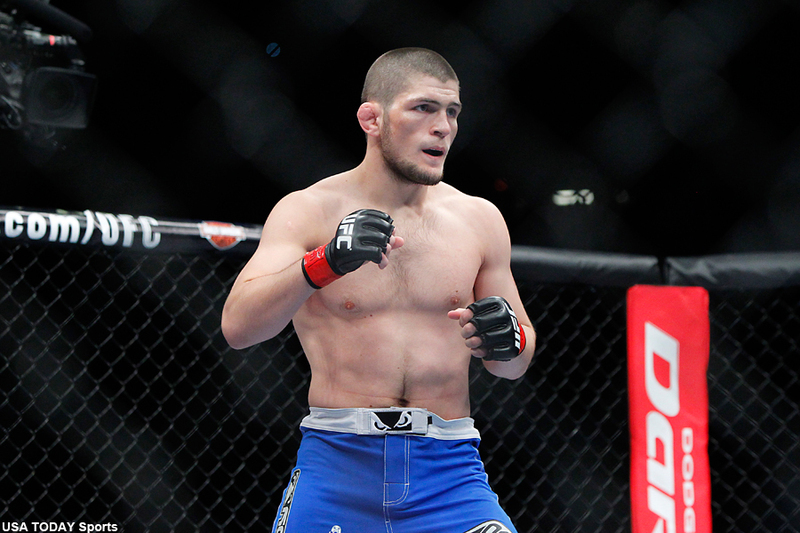 Nurmagomedov owns an unblemished 22-0 professional record. “The Eagle” most recently took a unanimous decision over Rafael dos Anjos in April. Cerrone is just two days removed from knocking out Miller with a highlight reel head kick at UFC Fight Night 45. “Cowboy” has rattled off four straight wins, finishing off all of those victims in devastating fashion. No word on how long Nurmagomedov will be forced to ride the pine.